Cuteness overload, courtesy of baby Heiress Diana Harris. Rapper T.I. 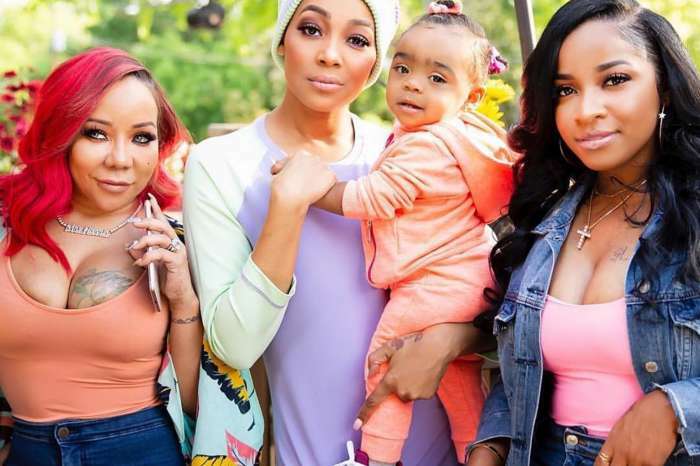 and wife Tameka “Tiny” Harris often share videos of their precious daughter that make their fans go gaga. Tuesday evening, Mrs. Harris returned to Instagram where she uploaded the most adorable video of baby Heiress yet. It is one of those videos that will make you love babies even more than before. The clip features the one-year-old in a cute onesie perfect for the holiday season standing not too far from a giant Christmas tree where she just finished opening many gifts delivered by Santa Claus, aka her parents. Having a little fun on this beautiful Christmas Day @heiressdharris & I doing our own rendition of Bingo spelling her name!! What would I do without @who_but_i she put me on to it!! ???? The mother of four sang a cute version of “Bingo,” and instead of spelling the word “b i n g o,” she used the song to teach her daughter the letters to spell her name. The little song is a fun and clever way to teach children how to spell. Heiress eventually followed her mom’s instructions and sang the little song and was able to spell out the two last letters of her name. When Heiress achieved the goal, she was rewarded with a yummy lollipop. T.I.’s daughter was thrilled and immediately started eating her treat and showed off some adorable dance moves. 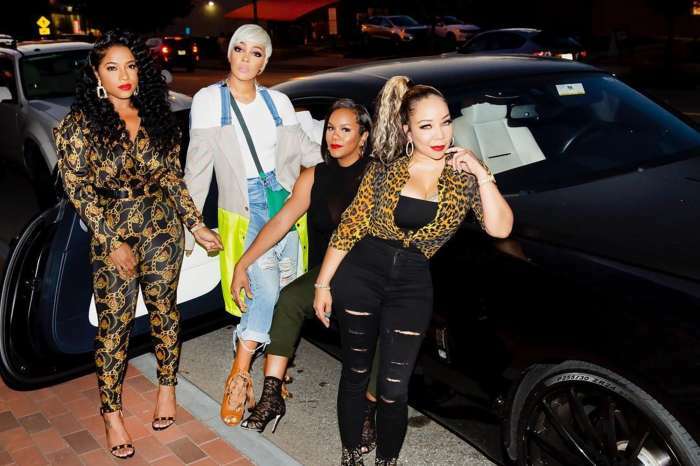 Tiny has been very busy with several other divas including LaTocha Scott, Tamika Scott, and Kandi Burruss on The Great Xscape Tour. However, the working mother made sure that she kept at least two of her children by her side almost every night. Videos and pictures showed Heiress often traveled with her mom city to city. Tiny is also accompanied by her 21-year-old daughter, singer and future actress Zonnique Pullins. Since NeNe Leakes was fired from the Great Xscape Tour, Zonnique was chosen as a replacement. Other opening acts on tour include Tamar Braxton, who is a close friend of Tiny, and talented songbird, Monica Brown.